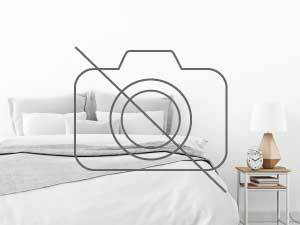 Una camera da letto con bagno interno, cucina abitabile, lavanderia, ripostiglio. Termo autonomo. Aria condizionata. Completamente arredata. Si fitta per periodo trimestrale rinnovabile. For medium-long periods, a large double room in a 3-room apartment is reserved for female students or female workers. Camera con disponibilita di bagno e cucina siamo una coppia e con una stanza in piu. La compagna fa la portinaia. Non ci sono grossi problemi di orario. Camera adiacente al bagno. Altri due balconi con possibilita di usufruirne.Ripostiglio pieno centro a 100 mt dalla stazione. Located in Cava de 'Tirreni, a 12-minute drive from Vietri sul Mare, Villa Fernanda has recently been refurbished. It offers self-catering apartments, a shared outdoor swimming pool and a furnished garden. Free WiFi is available in the areas. common. Featuring a patio with sea views, all air-conditioned apartments come with a satellite flat-screen TV and a kitchen with oven and refrigerator. The private bathroom comes with a shower, bidet and hairdryer. Villa Fernanda is a 20-minute drive from Salerno and 24 km from Pompei. Amalfi is a 45-minute drive away. Couples really appreciate the location for a trip for two. We speak your language! Holiday Home In Amalfi Coast. Holiday home in Cava de Tirreni Corps in the Province of Salerno, near the Amalfi Coast, Cilentana and Sorrento Peninsula and the islands of Capri, Ischia and Procida. An ideal place for those who want to explore the historic, landscaped and cultural beauties of Campania and for those who just want to spend a few days relaxing away from the stress of everyday life and modern cities. The apartment is on 2 floors on the first floor living room with double sofa bed + kitchen and bathroom, on the second floor, a forward bedroom with double sofa bed + bedroom with double bed and single bed. The apartment is equipped with fridge, gas cooker 4 stoves and TV. Residence "antico Borgo Del Pozzo"
The Residence "Antico borgo del pozzo", recently renovated, is a magnificent dwelling nestled in a beautiful location, on the gentle slopes of the hills of the Amalfi Coast; a land of history and art, but above all a place of unique landscapes in Italy. The structure will host customers in apartments located on several levels, independent, elegantly finished and furnished keeping intact the warm local atmosphere: they can be composed of one or two bedrooms, living room with double sofa bed, kitchen or kitchenette, bathroom with tub or shower, terraces; have satellite TV, washing machine, fireplace, wifi, outdoor barbecue. The house Trappeto sea holidays is situated in the center of Maiori, on the first floor of an ancient palace. Just 200 meters from the seafront promenade, beach and the main attractions of the country, the apartment about 100 meters is on two levels. The first level consists of a large dining room, fully equipped kitchen, double bedroom and single bed and bathroom with shower, on the second level master bedroom and single bed, living room and bathroom with tub. The large, airy rooms allow you to spend a pleasant and relaxing stay. Great location for access to other areas of the coast. Parthenope Bed And Breakfast is a small family-run hotel warm and welcoming: you will live a relaxing stay in a peaceful environment typical of the characteristic agerolese house overlooking the Amalfi Coast. Agerola, known for its trail offering, boasts paradisiac routes such as "the Path of the Gods" and the "Valle delle Ferriere". Parthenope is a quiet and secluded b & b located just minutes from the Amalfi Coast. This cozy and welcoming house is located in Agerola, which offers a spectacular view of the entire Amalfi coast. All rooms are ensuite and furnished to the highest standards of standards so guests are guaranteed a peaceful, relaxing and memorable stay. Apartment consists of two bedrooms, bathroom, living room and kitchen, fully renovated building with an elevator. Located in Naples, in the Fuorigrotta area in front of the fair area of ​​Mostra D 'Oltremare, Edenlandia amusement park and zoo 100m. flegrea Cumana railway station and 300m from the subway station. With only two stops from the city center. An excellent choice for visiting the center of Naples and the archaeological area of ​​Flegrea Pozzuoli, Cuma and Baia. An apartment - exceptional and unique study because of its location and its architectural volumes. Ideal for a holiday or for a business trip or creatively. The apartment is 39 square meters, with a furnished terrace of 30 square meters, finely furnished and very bright and quiet. It features a furnished room, kitchenette equipped for medium to long-term periods, a small living / dining area and fully fitted bathroom with a shower and a hairdryer wall. The play of light and the proximity of the bus stop 40 meters, make this a very pleasant apartment for a relaxing stay with all the amenities of an apart-hotel. Double bedroom, or single as well, in Torre del Greco, 15 mins by car from Naples, in a quiet and nice apartment. Private bathroom. Close to the train station, just 2 mins walking and 5 minutes to the town centre. It's suitable for couples, business travellers, families. Wi-FI, private bathroom, garden, towels, breakfast. Stanza doppia, o singola, situata in Torre del Greco, a 15 minuti di macchina da Napoli, in un appartamento tranquillo e grazioso. Bagno privato. 2 minuti a piedi dalla stazione dei treni e 5 minuti dal centro città. Studio apartment of 40 square meters, the ground floor with separate entrance, consisting of kitchen and tableware, bathroom, 4 beds, TV, air conditioning. They are included sheets and towels. It 'just a short walk from downtown, near the Arechi Castle, easily reached from the highway and just minutes from the beautiful beaches of Vietri and Cetara. Also downhill walk or lift through the historic center to center. You wish to find a rental in Salerno? Salerno is a charming city located in Italy. With Roomlala, the inhabitants of Salerno are very happy to welcome you, whatever the reason for your rental (tourism, travel, business travel, internship, studies, etc.). The site is at your disposal to help you find a furnished rental in Salerno or a private room in Salerno. What's the difference? By renting a room with the inhabitant, you mainly rent a room, within the housing of the inhabitant in Salerno. Finding a furnished rental in Salerno is like renting a studio, an apartment or even a house in which the owner is also living in the property. In both cases, the rentals will have obligatory equipment that make each a "furnished rental". . Thanks to Roomlala you can also find a roommate or roommates in Salerno. If you have already found an accommodation (house, apartment), you can then simply publish a free ad to look for your future roommates with whom to share it with. If you have neither accommodation nor roommates yet, you can directly find a roommate in Salerno, or in a preferred borough of Salerno, for medium and long durations (room to rent at the month at the year). For shorter stays, our platform also allows you to search for a guest room in Salerno or a bed and breakfast in Salerno, near the tourist places of Salerno. On the occasion of a holiday rental in Salerno, you can visit its essential places and also stroll around the city. You will be able to walk along its most famous avenues and streets. Another possibility: you are looking for accommodation in exchange of services in Salerno? Roomlala offers you rentals for services such as childcare, help for the elderly, school support, home help, intergenerational housing, student help, babysitting, cleaning, etc.